Product code: GP12-10 Categories: Batteries, Mobility. This battery fits some of the small boot size scooter range and most require 2 batteries you must check your scooter batteries to be sure you order the correct ones, if at all you are unsure what to order then please call us on: 01782-330846 and we will be happy to point you in the right direction. 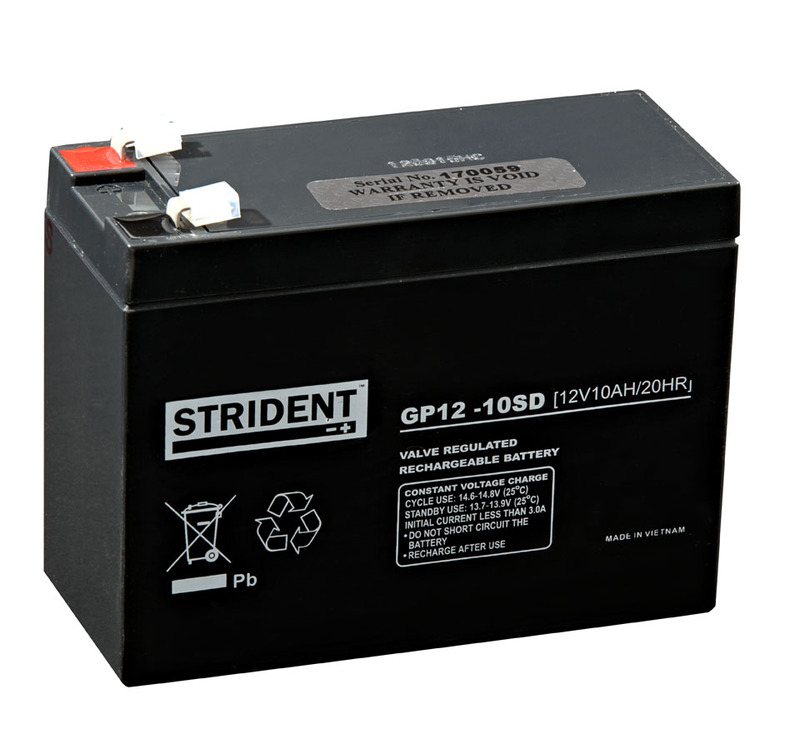 Strident 12v 10ah battery Lead Range. All our batteries come with a 12 month warranty. Mobility Aids UK is the leading mobility aids company in the uk. They stock a vast variety of mobility products, from mobility scooters to gardening aids. If you would like to view the full range of products on offer from Mobility Aids UK, CLICK HERE.